Known internationally for its famous Christmas Market (Christkindlesmarkt), which annually attracts two million visitors, Nuremberg, one of Germany's oldest cities, and its surrounding area are characterized by a medieval flair. Take a chauffeured limousine tour through this picturesque city and experience the most beautiful places of interest it has to offer, such as the Church of Our Lady (Frauenkirche), the Nuremberg State Theater, the White Tower, Schöner Brunnen (Beautiful Fountain), and St. Lawrence Church. We will drive you to the Imperial Castle and the French Gardens. 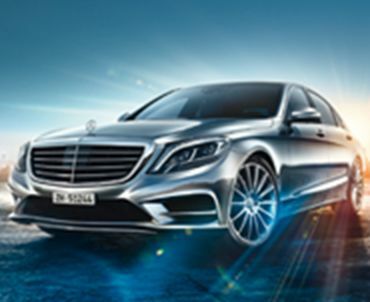 Book our chauffeur services by the hour for an unforgettable limousine tour of Nuremberg. Arriving by plane? Our reliable airport service will pick you up from the airport and will bring you back in time for your departure. Booking TOP-ALLIANCE's limousine service prior to an important meeting means we get you there on time, relaxed and confident when you step out of one of our elegant first-class or business vehicles. You can concentrate on your appointment with no last-minute rush. Whether you're planning a long or short journey for yourself, an individual or for a group, our professional chauffeured limousine service makes sure guests arrive at their destination safely, comfortably and in style. For groups of up to eight people we offer luxurious minivans or spacious buses for larger groups. Our friendly, experienced staff will be happy to put an offer together that is tailored to your needs. Contact our 24/7 live support team by phone or email. Booking is so easy, you can do it in three steps: Step 1: Select either a transfer (trips from A to B, say, to and from the airport, or from the hotel to the convention) or an hourly hire, which means a dedicated chauffeur is at the guest's disposal for the time period you book. Step 2: Select from our exclusive range of vehicle models and let us know how many passengers and how much luggage to expect, along the pickup and drop-off times and locations. Step 3: Select a payment method. We accept credit cards and bank transfers, or we can invoice you. TOP-ALLIANCE's friendly, experienced booking team will gladly help you will all your transportation needs. TOP-ALLIANCE – Your elegant transportation specialists. Services in the listed cities are provided by TOP-ALLIANCE and/or our partners.